Bluetooth module for SECU-3T or SECU-3 Micro units. 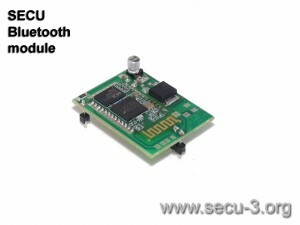 Installed on the unit’s board. Intended for wireless link with PC, notebook or smart phone. 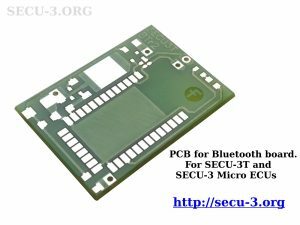 Software (SECU-3 Manager) provided ability to change name and password (for security), as well as baud rate. 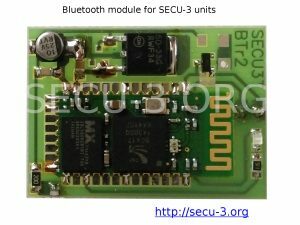 If this module ordered together with one of the SECU-3 units, then we install it inside the unit and check before sending of order. You don’t need to install and solder it by your own.